This Bulletin details the findings of the first phase of a study into the way in which health boards carry out their role as commissioners of health services. The first phase of the study focuses on how contracting has worked in practice. All health boards and the majority of trusts in Scotland participated in the study which was carried out during 1996/97. 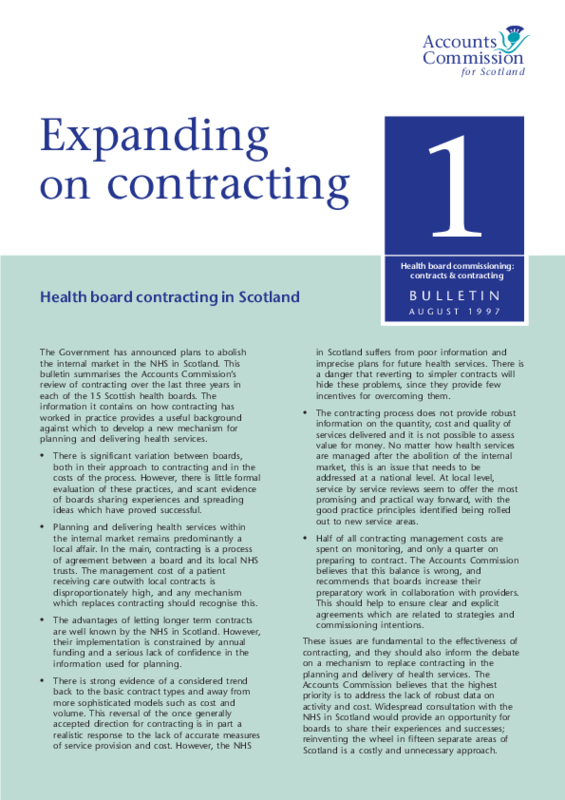 Subsequent bulletins in this series will cover: good practice in contracting; the information needed to contract effectively and the changes which health boards are making in light of the Shields report, on their roles and responsibilities.